“No vaccine manufacturer shall be liable…for damages arising from a vaccine-related injury or death.”– President Ronald Reagan, as he signed The National Childhood Vaccine Injury Act (NCVIA) of 1986, absolving drug companies from all medico-legal liability when children die or are disabled from vaccine injuries. Not so curiously, it turns out that many – perhaps all – of these campaigns have been funded – usually secretly – by the very pharmaceutical companies that benefit economically by indirectly promoting the sale of so-called Alzheimer’s drugs. Such corporate-generated public relations “campaigns” are standard operating procedure for all of Big Pharma’s drugs, especially its psycho-pharmaceutical drugs. Big Pharma has found that the promotion and de-stigmatization of so-called “mental illnesses of unknown etiology” is a great tool for marketing their drugs. Recently Alzheimer’s support groups all around the nation have been marketing a documentary about country singer Glen Campbell who has recently been diagnosed with Alzheimer’s disease (of unknown etiology) despite the obvious fact that Campbell was infamous for his chronic heavy use of brain-damaging, dementia-inducing, addictive, and very neurotoxic drugs like cocaine and alcohol. And, just like so many other hard-living celebrities like the (now cured) dementia victim Kris Kristofferson and the suicidal and early dementia victim Robin Williams. All three celebrities were known to have received prescriptions for legal neurotoxic brain-altering drugs, adding to the burdens that their failing brains, livers and psyches had to endure. It is highly likely that all three of them were also on statins and were up-to-date on their mercury and aluminum-containing vaccinations. It is an established fact that Alzheimer’s disease can only be definitively diagnosed at a post-mortem examination of the cerebral cortex, something that dementia patients are almost never subjected to. Because of the rarity of coroners doing autopsies on dementia patients, we have to question the accuracy of the diagnoses of, for example, the still living Glen Campbell, Kris Kristofferson and our own memory-impaired spouses, aunts, uncles, grandmas and grandpas, especially since so many of them have been on neurotoxic substances such as those mentioned in this article. And we also have to question the motivations of the Big Pharma corporations that financially underwrite patient support groups like the Alzheimer’s Association. AND, equally importantly, given the total lack of recognition of the reality of drug-induced dementia, we have to question to oft-cited assertion that 2/3 of all dementia cases are because of Alzheimer’s disease (of unknown cause). Are the Alzheimer’s, Autism and Autoimmune Epidemics Actually Iatrogenic, Drug-Induced Epidemics? Synchronous with the recent large increases in 1) childhood and adult neurotoxic aluminum-adjuvanted vaccinations, 2) the use of neurotoxic psychotropic drugs, 3) the use of statin drugs (cholesterol-lowering drugs) known to cause memory-impairment, and 4) the ingestion of a variety of neurotoxic food additives, there has been a large parallel increase in A) the incidence of chronic autoimmune disorders, especially in childhood, B)the incidence of autistic spectrum disorders, C) “mental illnesses of unknown origin” and D) dementia. For more go to: http://www.huffingtonpost.com/david-kirby/new-study—mitochondrial_b_147030.html. Each of those 4 root causes and the 4 neurological disorders that are closely correlated with them are admittedly multifactorial realities. But the important lesson is that they are also preventable. However, due to clever marketing by Big Pharma and the studied ignorance of Big Medicine and the refusal of Big Media to allow scholars to talk about the connections, “walks for the cure” and drug treatment is what is emphasized rather that prevention. 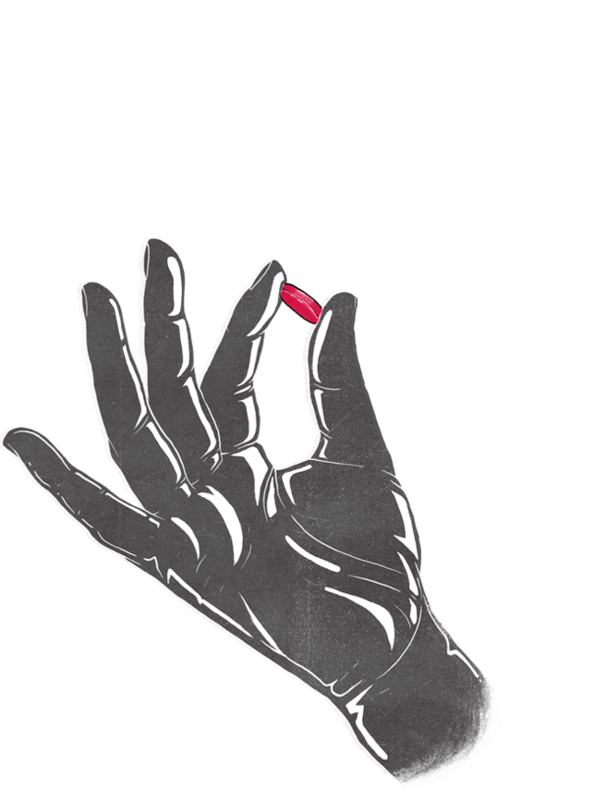 “Drug-Induced Dementia: A Perfect Crime”. These are extremely important issues, especially in the case of the dementia epidemic, because the Alzheimer’s patient support groups seem to be unaware of the fact that many psychiatric drugs are known to irreversibly damage brain cells (partly by poisoning their mitochondria, the microscopic hearts and lungs of every cell) and therefore would be expected to cause a variety of other neurological and mental health disorders. (See more info on drugs and mitochondria below. One of the big problems in America’s corporate-controlled culture, corporate-controlled government, corporate-controlled medical industries and corporate-controlled media is that the giant multinational (especially Big Pharma) corporations are in the business of developing and marketing known mitochondrial toxins with no oversight from regulatory agencies. These businesses obscure the fact that there ARE known causes for the disorders and that they are preventable. The unproven claims expressed in the TV commercials and medical journals advertising the newest drug-of-the-month are often later exposed as plain snake oil propaganda. It should be a concern for everyone that some Alzheimer’s support groups are actually front groups for the pharmaceutical industry that profit handsomely from the handful of virtually useless drugs such as Aricept, Exelon, Namenda, Hexalon, and Razadyne. 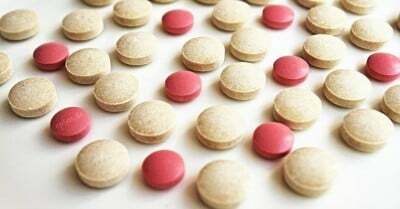 Acquired mitochondrial disorders (as opposed to the rare primary mitochondrial disorders like muscular dystrophy) can be caused by commonly prescribed drugs. They are difficult to diagnose and are generally poorly understood by most healthcare practitioners. When I went to medical school, none of my professors knew anything about the lethal effects that many synthetic drugs and vaccines do to the mitochondria of average brain or body cells. The science of the mitochondria was in its infancy. A lot of mitochondrial research has been done since then, especially starting in the 1990s,and that research has proven the connections between a variety of commonly prescribed medications and mitochondrial disorders. That evidence seems to have been cunningly covered-up by the for-profit pharma groups whose drug are the culprits. Big Pharma has tremendous control over the medical education of most health care providers, and they spoon-feed pro-drug and pro-vaccine propaganda to undiscerning “healthcare” journalists, which is where many physicians and patients get their health information. I was pleasantly surprised recently to find a reasonably honest guide for dementia patients on a Harvard University website. The information at that site stated that there were over 50 conditions that could cause or mimic early dementia symptoms. What medical practitioner in our double-booked clinic environment has the time to thoroughly rule out the 50 root causes of dementia symptoms when confronted with a patient with memory loss? It’s simpler to just diagnose every case of dementia as another case of Alzheimers! Who will ever dispute such an authoritative-sounding diagnosis? Certainly not those who want to keep dementia from being recognized as a potentially iatrogenic disorder (doctor or treatment-caused disorder). But even the Harvard guide inexplicably fails to mention known mitochondrial toxins such as statins, metformin, Depakote, general anesthetics, fluoroquinolone antibiotics (like Cipro), fluorinated psychotropic drugs (like many of the SSRIs and the so-called antipsychotics). And Big Food corporations are guilty of feeding us neurotoxins also. For example, when the ubiquitous synthetic food, soft drink and chewing gum sweetener NutraSweet (aspartame) reaches 86 degrees (whether in our 98.6 degree bodies or in some MidEast desert (as was true for many American soldiers who developed Gulf War Syndrome) every molecule releases a molecule of the excitotoxic amino acids phenylalanine and aspartic acid and one molecule of the cellular toxin methanol (wood alcohol). Methanol then rapidly metabolizes into the known mitochondrial poison formaldehyde (embalming fluid), which is a serious cellular and mitochondrial toxin. The chlorinated artificial sweetener Splenda, which was initially developed as a neurotoxic pesticide, is in an uncountable variety of foods as well. These examples are only some of the synthetic chemicals in medicines, vaccines and processed foods that are capable of causing mitochondrial damage in brain and body cells – with memory loss, confusion and cognitive dysfunction, all early symptoms of dementia. There is much more in the basic neuroscience literature proving the connections between drugs and vaccines and neurodevelopmental disorders. Those basic neuroscience researchers that do not have conflicts of interest with Big Pharma and Big Medicine should be listened to. Those authors with monetary or professional conflicts of interest should be regarded with suspicion. Don’t expect Big Pharma to respond to such unwelcome revelations as mentioned above. Don’t expect Big Medicine to acknowledge the existence of iatrogenic illnesses or to offer apologies. Do, however, expect denials, dismissals, distractions, delays and ad hominem attacks against the whistle-blowers rather than honest mea culpas. So it must be up to the consumers of potentially toxic substances to do the research themselves, for those substances may not show symptoms until a tipping point is reached when their livers can no longer detoxify the cocktail of poisons that are presented to it). 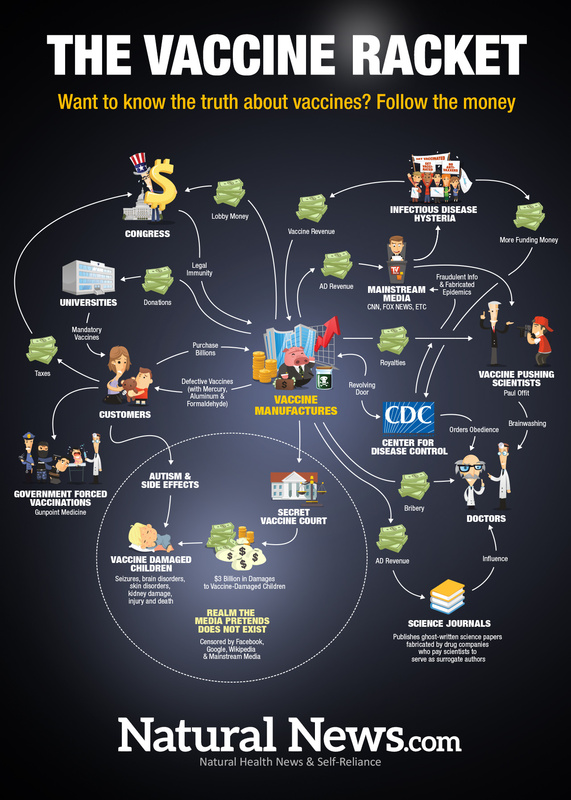 Dr Kohls has spent many years researching the powerful, obscenely profitable and therefore easily corrupted pharmaceutical industry and the many false claims that their lobbyists, think tanks and co-opted opinion leaders in the media have been making. He knows many families whose lives have been devastated by psychiatric drug and vaccine injuries, including the post-vaccination regressive autism that unequivocally began following routine well-baby or well-child vaccinations. He takes seriously the precepts of the Hippocratic Oath that he took when he received his medical degree. That oath says that physicians should above all do no harm to their patients and thus, when there is evidence of potential harm from a prescription drug, vaccine or procedure, physicians should hesitate in doing that harmful treatment until a thorough, unbiased re-evaluation is done. Tragically, there has been a proliferation of big medical corporations (for-profit health insurance companies, for-profit clinics, for-profit hospitals, etc) and the secretive, often above-the-law multinational pharmaceutical corporations that regularly use corrupted science to “prove” the safety and efficacy of their obscenely profitable drugs. They employ thousands of workers but mainly work for the economic benefit of their shareholders and not vulnerable patients. Click here for a full-sized version of the infographic. 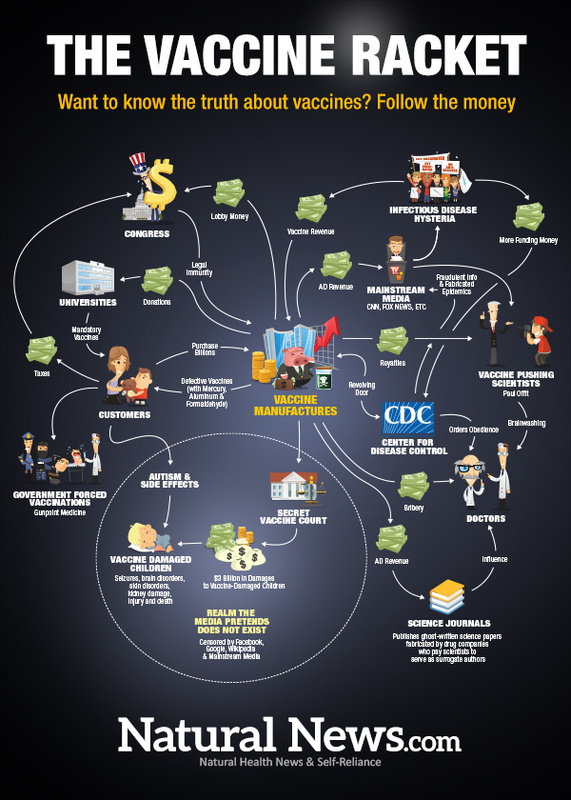 The infographic documents the nefarious players of the vaccine industry: the mainstream media, the CDC, deceitful vaccine propagandists like Paul Offit, the secretive vaccine court, the cover-up of vaccine-injured children, mainstream media propaganda that programs the public to worship vaccines, and much more. The pesticides WHO classifies as ‘cancer causing’ are used widely in India. Five popular brands of chemical pesticides – Glyphosate, Parathion, Malathion, Diazinon and Tetrachlorvinphos – that the research arm of the World Health Organisation (WHO) categorized as ‘probable or possible carcinogenic’ are widely used in India. While the report has triggered a massive debate in Europe and America on the need to regulate or ban these pesticides, it has been simply glossed over by policy makers, scientists and environmentalists in India. For a country which spends more time discussing pedestrian issues, health and environment are far away from national concerns. If you are dealing with pest at your house and don’t want to use all those pesticides that have harmful chemicals then hire Pest Control Company in Carlisle. The International Agency for Research on Cancer (IARC) at Lyon, in France, has categorized the most popularly used herbicide Glyphosate, which comes branded as Roundup, as ‘probably carcinogenic to humans’. Two of the pesticides – Tetrachlorvinphos and Parathion – have been classified in the 2B category and rates as ‘possibly carcinogenic to humans’ while three other chemicals – Malathion, Diazinon and Glyphosate – as ‘probably carcinogenic’ and put in the category 2A. These are all organophosphates. In India, while Roundup is the most popular used herbicide, Methyl Parathion, Malathion and Diazinon too are widely used in agriculture. Tetrachlorvinphos is approved for flies and ticks. Interestingly, many of the chemicals are approved for restricted use, knowing very well there is no way to check its actual application. Take for instance Methyl Parathion. Its use is banned for fruits and vegetables, and also for crops where honeybees are acting as pollinators. How can the Central Insecticides Board expect farmers to make a distinction between honeybee pollinating crops and other when applying Methyl Parathion?Similarly, Diazinon is banned for use in agriculture except for household purposes. Is there any way to police the farmers after they have purchased the chemical from the market? How will you know, given the educational standard of Indian farmers, whether they read the fine print on the pesticides container and apply accordingly? Take Methyl Parathion use in fruits and vegetables. It is officially banned, but it is widely known that traders dip certain vegetables in Methyl Parathion solution as it provides shine to the veggies. The pesticides registration process therefore is a sham. Since it escapes public scrutiny, I haven’t seen the working of the Central Insecticides Board ever come under the scanner of the investigating agencies. Some 860 pesticides are registered for use in India. As many as 67 pesticides banned in other countries, are being used in India. There is a strong lobby in favour of chemical pesticides, and every time environmentalists question the need for some of these pesticides on health and environment grounds, a court case is often slapped. So much so that film star Aamir Khan too was served legal notices after his show on pesticides inSatyamev Jayate. Nevertheless, I still remember a study published by Dr David Pimental of the Cornell University in the late 1970s wherein he estimated that 99.9 per cent of the pesticides go into the environment and only 0.1 per cent of the pesticides hit the target pests. I had always wondered why this study was never taken seriously by agricultural scientists knowing very well how toxic these chemicals are. The International Rice Research Institute, in Manila, the Philippines, too showed in early 2000 that pesticides on rice in Asia were ‘a waste of time and effort’. The IRRI study showed how farmers in Central Luzon province of the Philippines, and in Vietnam, Bangladesh and India were producing a bumper rice harvest without using chemical pesticides. Even this report was never taken seriously by the Indian Council of Agricultural Research (ICAR), the umbrella organization for farm research in the country. And when I hear Ajay Vir Jakhar, president of the Bharat Krishak Samaj say that pesticides use in wheat has gone up by 300 per cent, a crop which is generally considered to be hardy not requiring much application of chemical pesticides, it clearly shows how ruthlessly harmful pesticides are being promoted. Genetically modified (GM) crops have further pushed the application of chemical herbicides through the spread of herbicide-tolerant crops. The WHO report should therefore be used as a loud warning, and immediate corrective steps are called for. We can ignore the warning signals at our own peril. Posted on April 16, 2015 July 23, 2017 Categories News - Miscellaneous, PharmaLeave a comment on The pesticides WHO classifies as ‘cancer causing’ are used widely in India. 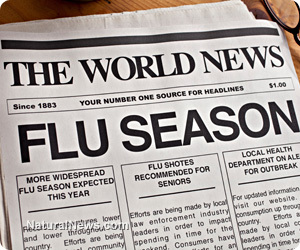 #1: Mercury in lobster is bad for you, but mercury in flu shots is good for young children! #6: GMOs are perfectly safe to eat in unlimited quantities, and without GMOs, half the world might starve to death. Posted on February 11, 2014 Categories PharmaLeave a comment on Do Medicines expire ?